Pep Guardiola has promised to help the Football Association if they seek his advice on how young English players should be coached. 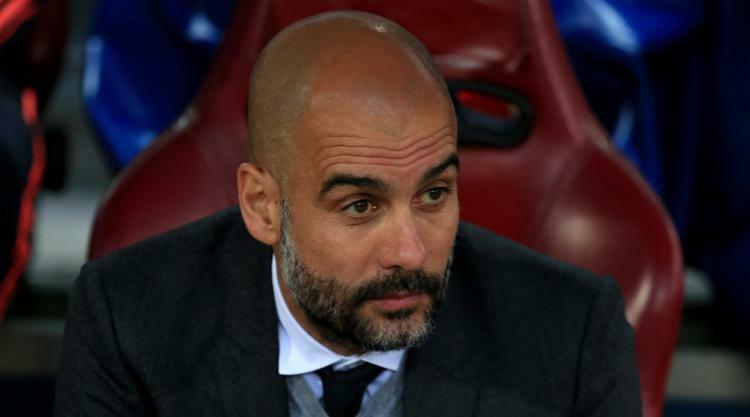 The Manchester City manager has enjoyed huge success in his current job and previously at Bayern Munich and Barcelona. His achievements, and the style with which his teams have performed, have seen Spaniard Guardiola hailed as a pioneering coach. England have yet to see success at junior levels translate to senior international tournament success, although Three Lions boss Gareth Southgate will look to put that right at the World Cup in the summer. But the FA is beginning to see rewards from its investment in the St George's Park training headquarters. Guardiola, 46, was asked if he would offer advice if the FA asked him to share his expertise across the age groups. "Of course," he said. "I was a young manager and I travelled around the world to be with other managers to try to explain me the secrets, what they think and what they believe. "But at the end all I can say is, 'They have to do what they believe'. Don't follow me because I have success now. That is a big mistake. "But of course. I was a young manager and for me it was a gift to speak with managers who opened the doors to explain what they believe about the profession, about the locker room, the tactics, whatever. "Of course I am able to speak with them. They don't know it but I am going to learn off them as well. "Normally when this happens I try to be so smart to take something from them. Always we can learn. That's why I went to England, why I went to Germany, to learn different perspectives." Guardiola, whose City side head the Premier League going into the new year, knows he may not always be the manager that every other young boss compares themselves against. "We're in the world where you buy the winners," he said. "We follow the winners. It is simple like that. It is not fair, but we follow the winners in life. "When I win, people follow me. Last season I didn't win, people didn't follow me."